New infrared heater without light to medium wave terrace, ideal to place under pergolas and porches that provides a pleasant heat. 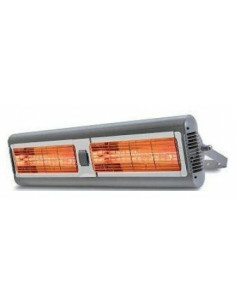 The heater made of aluminum and highly efficient modern aesthetics. Lacquered finish in black color. It incorporates fixing to wall or ceiling. 3 sizes and powers available. Comfort outdoors. 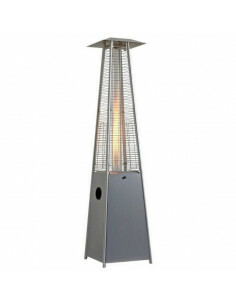 Corona Patio Heater is a great way to warm a cold outdoor space of up to 30 square meters, such as a patio or deck. 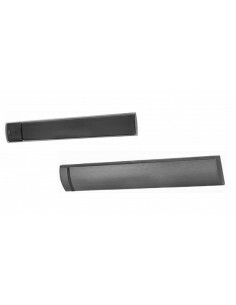 The heater has a stainless-steel finish or black or white painting. With its portable design, the heater can be easily moved. 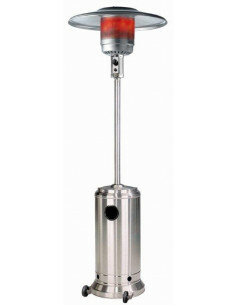 The gas heater is equipped to be hooked up to a standard propone tank (not included). 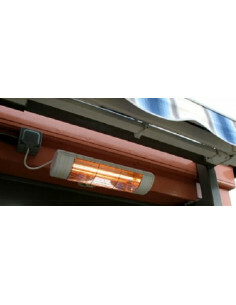 Small Corona Patio Heater is a great way to warm a cold outdoor space of up to 30 square meters, such as a patio or deck. The heater is finished in black painting. With its portable design, the heater can be easily moved. The gas heater is equipped to be hooked up to a standard propone tank (not included). 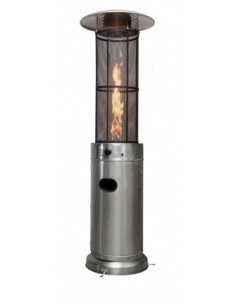 The new Round Flame Heater brings a new dimension to outdoor heating. This stylish unit provides a uniquely visual flame while providing heat in every direction. This attractive piece of patio art will be the focal point of any outdoor setting. Heating Power: 11 kw. Anticorrosive paint in black. 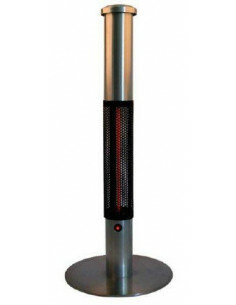 Heater stainless with casters in black color model Flamme Round Black. 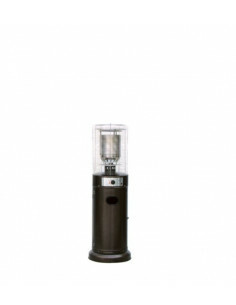 Base covers bottle, tube glass central power with power regulation, burner, ceramic, reflector and detachable wheels. Heat output 11kw. Height 1830mm. 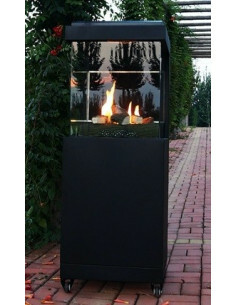 The new Pyramid Flame Heater brings a new dimension to outdoor heating. This stylish unit provides a uniquely visual flame while providing heat in every direction. 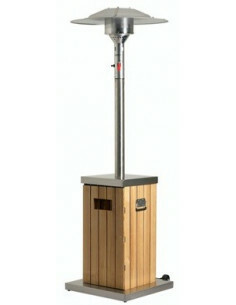 This attractive piece of patio art will be the focal point of any outdoor setting.Heating Power: 13 kw. Anticorrosive paint in gray or black. 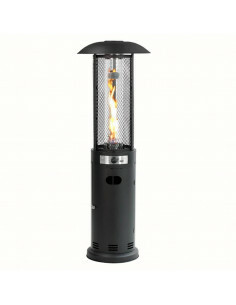 Heater square design gas for outdoor use with wheels with wheel kit and available in black. 3 sides of glass. Power of heating of 3 to 6kw. ELECTRIQUE HEATER BARI 3. Folding electric heater. TRIPLE. 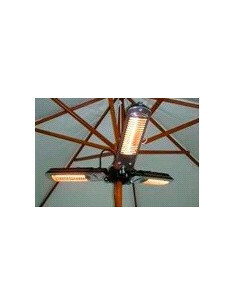 Composed of three 650 W heat lamps with a total power of 2000 w. It can heat up to 16 m². 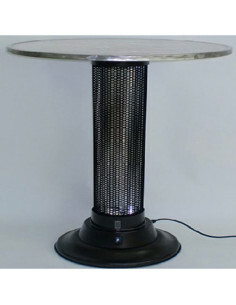 Patio heater + table: in one product!. For outdoor use. With "Saving energy system". 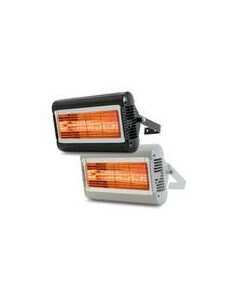 Heating power: 900w (3x300w). Outdoor cigarette receptacle heater. 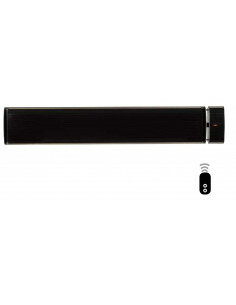 Base 45cm; tube 14cm; height 110cm. Heating power: 1500w.